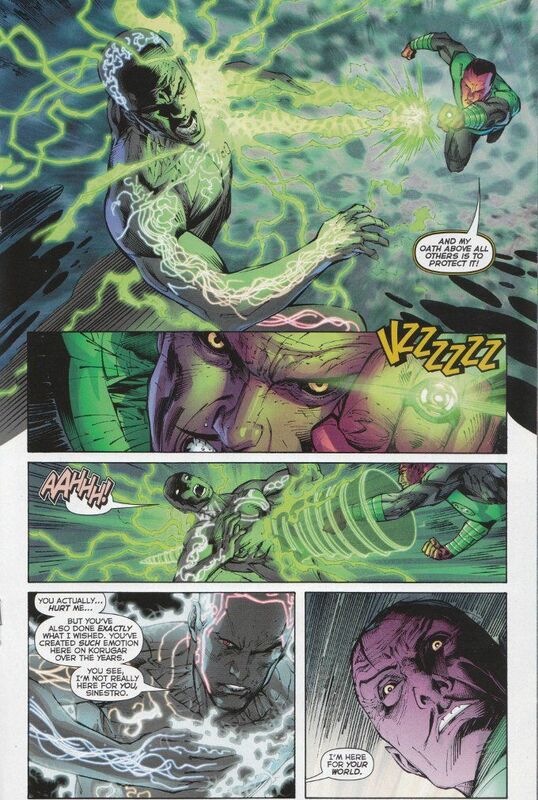 Everything I said about the artwork last month applies to this month's Green Lantern as well. The two separate art teams do an excellent job of telling two very different stories within their very different worlds. 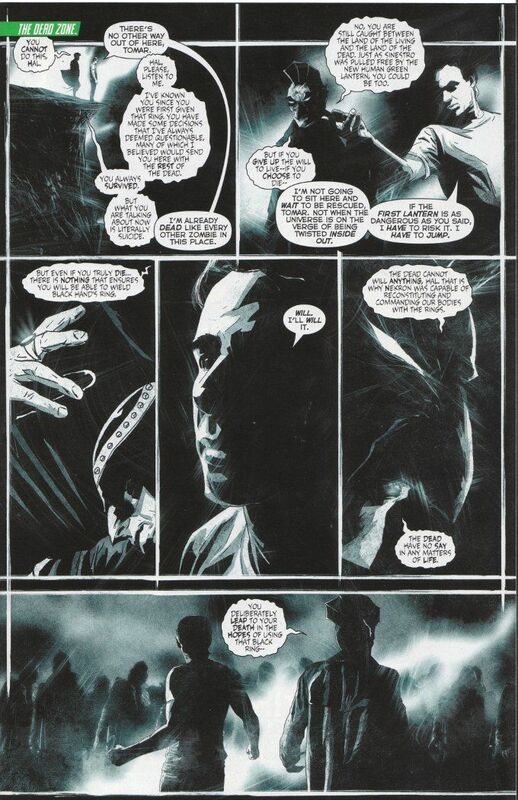 The shorter, more stylized portion of the comic is drawn and inked by Szymon Kurdanski, who delivers a deliberately sketchy style in depicting The Dead Zone where Hal Jordan finds himself trapped, neither alive nor dead. I wonder, in retrospect, if there's some connection between this place and The Phantom Zone? This is a solid issue of Green Lantern but it's completely inaccessible to those readers not already immersed in the glory of it's universe. I highly suggest tracking down a copy of Green Lantern: Rebirth and starting from there if you are interested in seeing what all the hype is about. This is a great book but this is not a good time to start with the monthly series.